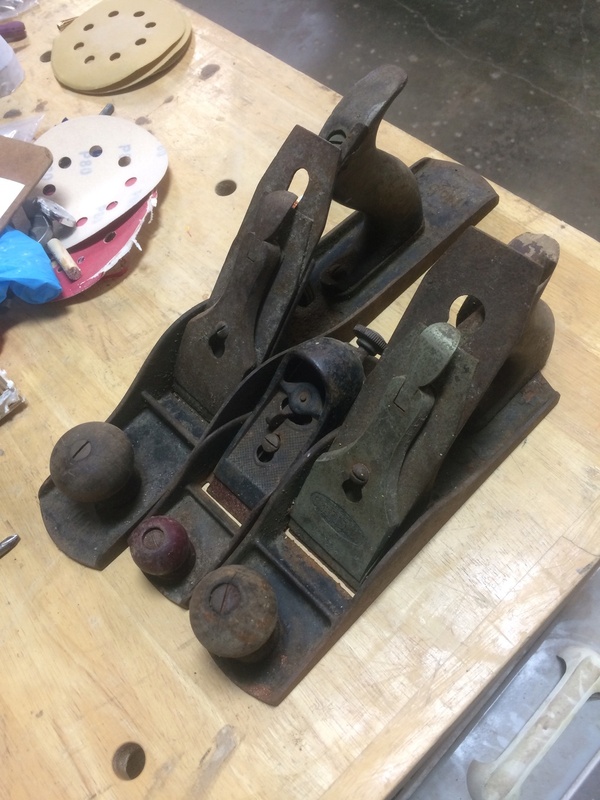 So one of our members just donated two sweet handplanes and a blockplane but they've uh seen better days. They'll be just fine but definitely need some cleaning & sharpening. Anyone wanna volunteer to help me with these? We have sandpaper, rust remover, wet stones, wire brushes.